Pinot Noir is often referred to as the “heartbreak grape.” Ostensibly, this is because it is difficult to grow, thin-skinned, finicky, prone to disease, likes to get into pointless arguments with you in restaurants and other public places, and always returns your calls when it knows you aren't there. However, that is untrue. Pinot Noir should be called the heartbreak grape because trying to find worthwhile Pinot under $15 is an exercise in one’s dewy-eyed expectations being run over by the Greyhound bus of reality. Put another way, if Match.com were about hooking you up with drinkable, inexpensive Pinot, it would have been out of business eons ago. However, you keep looking, and once in a while you get lucky. Here, without further delay—lest despair get the better of you, and you give up and switch to, you know, Merlot or something. 2012 Shoofly Yarra Valley Pinot Noir ($11) Australia’s cool Yarra Valley provides the counterargument to an ocean of super-juicy anonymous Shiraz: distinctive Pinot Noirs like this crisp, spicy, light-bodied version. 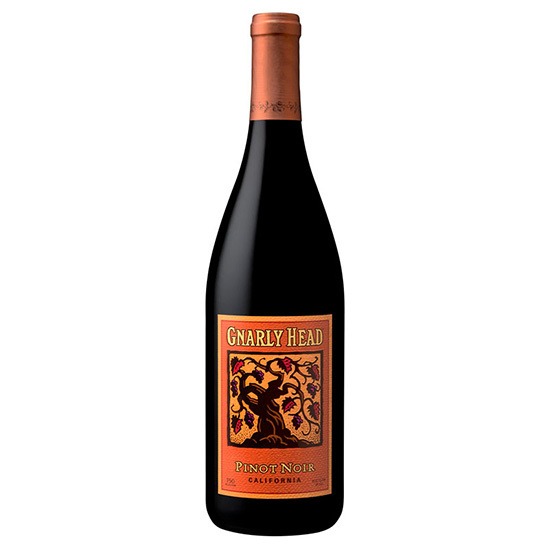 2012 Gnarly Head Pinot Noir ($12) The Gnarly Head team sources grapes from all over the state (hence the broad “California” appellation) for this berry-rich bottling. It’s on the richer side of the Pinot spectrum. 2012 DeLoach California Pinot Noir ($13) Bright cranberry fruit and a little sweet oak—plus enough acidity to keep the flavors lively—make this inexpensive Pinot, largely sourced from California’s Delta region, an excellent bargain. 2011 Hahn Winery Pinot Noir ($14) Ripe and dark—but not to the point of losing its Pinot-ness—this sultry Central Coast red suggests black cherries with a touch of cola. 2011 Francis Ford Coppola Votre Santé Pinot Noir ($14) Winemaker Corey Beck uses fruit from cooler regions like Monterey and Mendocino for this lightly peppery, aromatic Pinot.